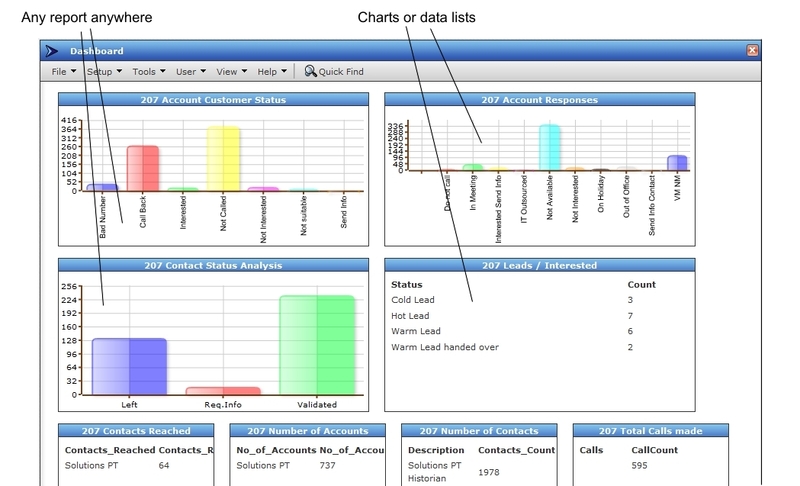 The following screenshots show the main views in CallPro CRM. Click on the images to view a popup with explanation texts. 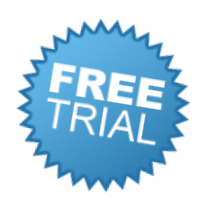 For a better understanding of the way the system works view the demo videos or ask for a one-to-one web demo. Most users work from the call list, especially supervisors. 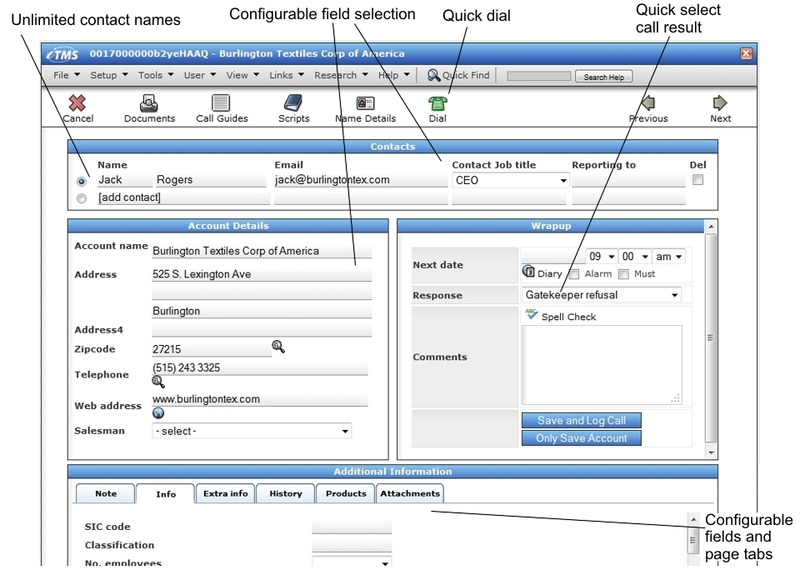 This is fully configurable with unlimited filter selections and column/field selections. Users can be configured to not see this screen at all, but instead just see the calling screen. This is fully configurable and can be different for each person. 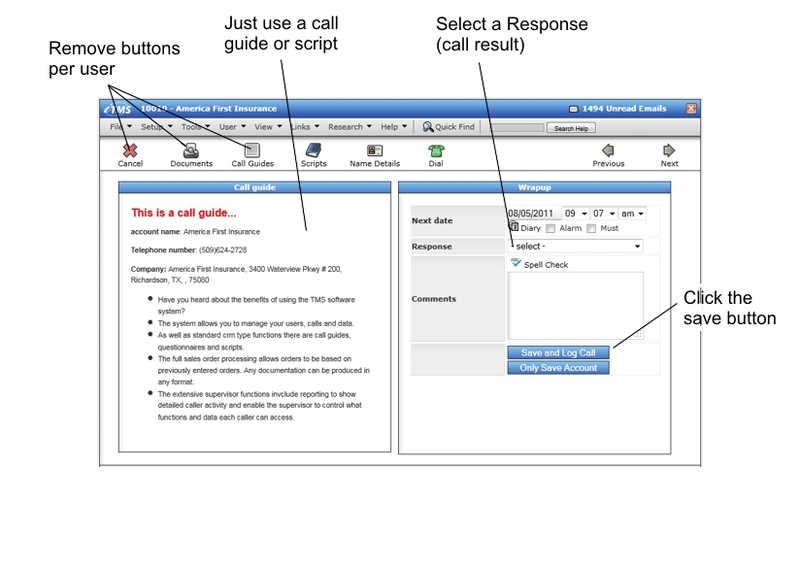 This example shows a simple configuration showing a call guide and the Wrapup section for the caller to quickly disposition the call. Clicking the Save button the system will automatically move on to the next record. This is fully configurable and can be different for each person. 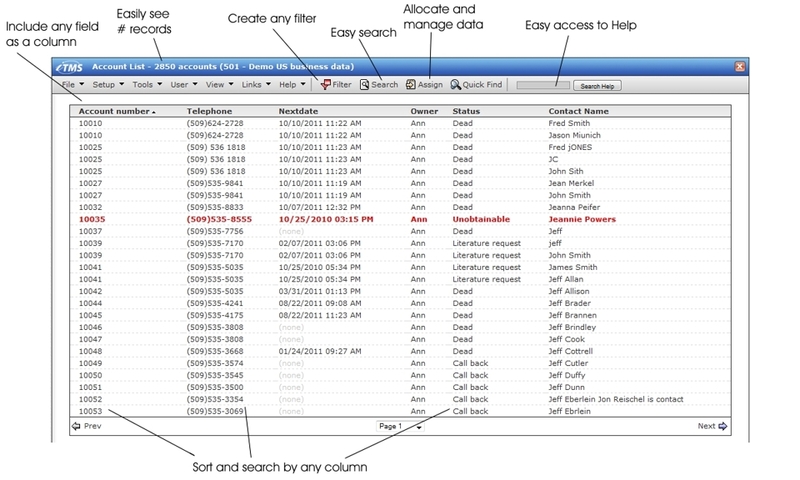 This example shows a standard configuration with all the relevant details needed for the call. This may include all contact name details, company details, contact history and full profile information. Clicking the Save button the system will automatically move on to the next record. Very powerful and fully configurable. Automatic branching, data collection, automatic call disposition. Create unlimited reports on anything in the database. Use the internal Report Writer to create the reports you need. 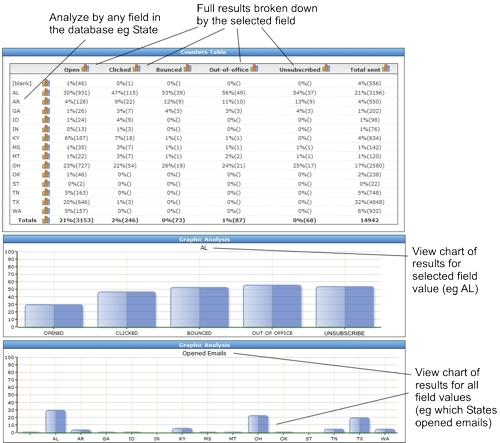 Create unlimited dashboards with specific reports and/or charts. Unlimited multi-step campaigns with automatic triggers and execution. Campaigns can be created manually or automatically as a result of another action, eg a website form submission, or a call result. In addition to standard campaign reporting of opens, bounces etc., CallPro is able to analyze results based on any field in the database. For example, view opens, clicks etc based on the Job Titles, or SIC code, or any other categorisation.